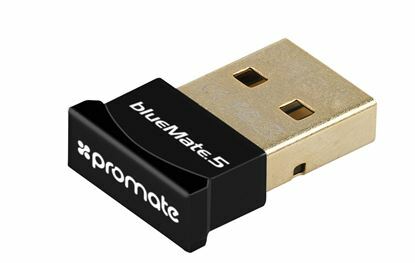 PROMATE Ultra-Small Bluetooth v4.0 Dongle with Licensed Driver PROMATE Ultra-Small Bluetooth v4.0 Dongle with Licensed Driver Software. PROMATE Universal USB3.1 Type-C Hub with Power Delivery. 3x USB3.0 PROMATE Universal USB3.1 Type-C Hub with Power Delivery. 3x USB3.0 ports. Up to 90W Power Delivery. Data & charge. Super-slim silver design. 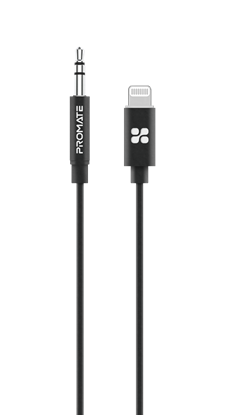 PROMATE 1m Apple MFi Certified Lightning to 3.5mm Stereo Audio PROMATE 1m Apple MFi Certified Lightning to 3.5mm Stereo Audio Cable. Integrated Digital-to-Analog Converter. Colour Black. 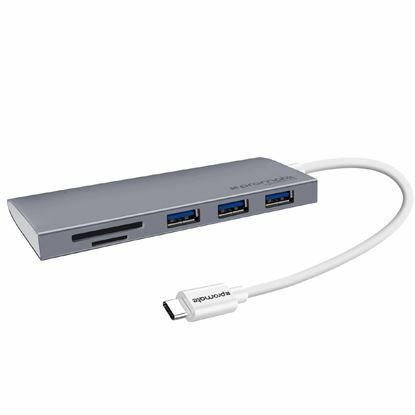 PROMATE High Speed USB Type-C Hub with Thunderbolt 3 Support for PROMATE High Speed USB Type-C Hub with Thunderbolt 3 Support for MacBook Pro 13" & 15"
PROMATE All-in-One USB-C Hub with 100W Power Delivery. 10W Qi PROMATE All-in-One USB-C Hub with 100W Power Delivery. 10W Qi Wireless Charger. 4K HDMI, Dual USB-A Ports. Supports 4K@30Hz. Plug and Play. Transfer rate 5Gbps. Colour Black. 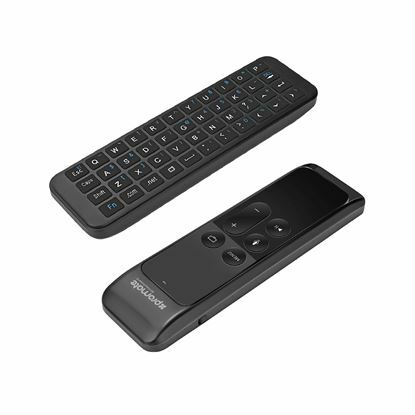 PROMATE Compact Wireless Mini-Keyboard for Apple TV. 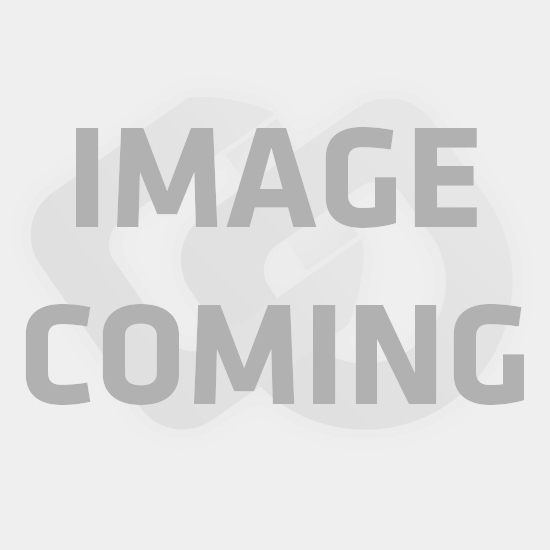 PROMATE Compact Wireless Mini-Keyboard for Apple TV. Ergonomic design with built-in Apple TV remote holder. PROMATE USB Type-C Hub with 3x USB 3.1 Type-A Ports, MicroSD and SD PROMATE USB Type-C Hub with 3x USB 3.1 Type-A Ports, MicroSD and SD Slot. Windows & Mac compatible. 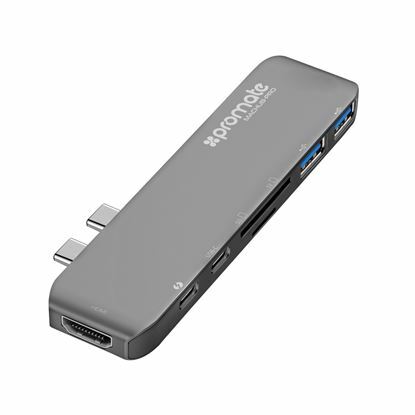 PROMATE All-in-One USB-C Hub with 87W Power Delivery. 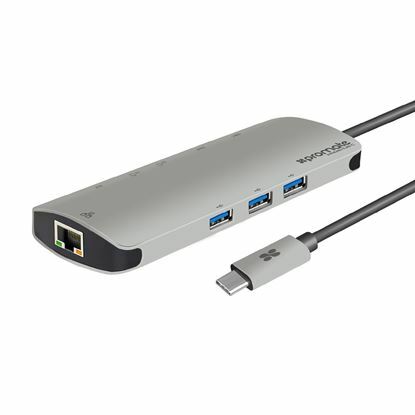 4K HDMI, RJ45 PROMATE All-in-One USB-C Hub with 87W Power Delivery. 4K HDMI, RJ45 Ethernet Port, 4x USB-A 3.0 Ports. Supports 4K@30Hz. Plug and Play. Transfer rate 5Gbps. Colour Grey. 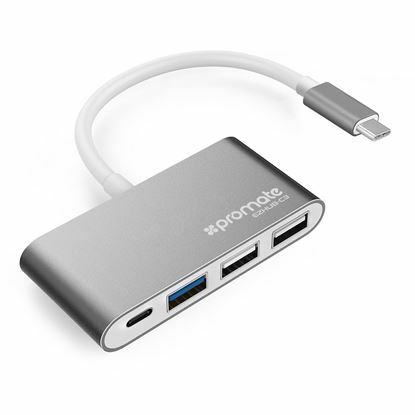 PROMATE Universal USB Type-C Hub with Power Delivery. 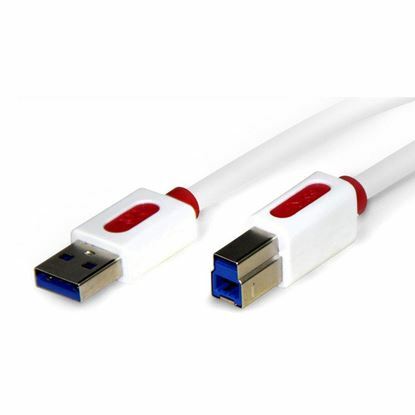 USB3.0 ports. 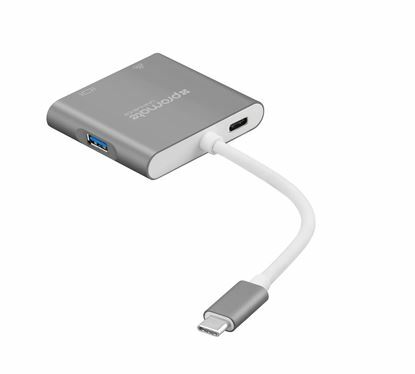 PROMATE Universal USB Type-C Hub with Power Delivery. USB3.0 ports. 4K HDMI port. Up to 90W delivery. Colour Grey. 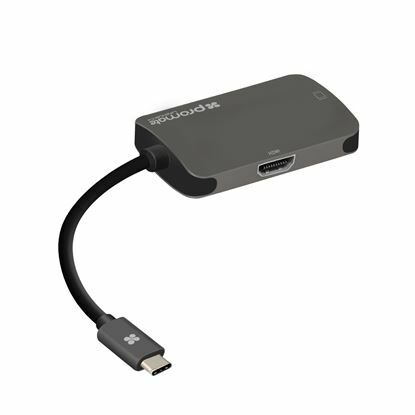 PROMATE USB-C to HDMI Adapter. Supports up to 4K@30Hz. Plug & PROMATE USB-C to HDMI Adapter. Supports up to 4K@30Hz. Plug & Play. Input: USB Type-C, Output: HDMI. 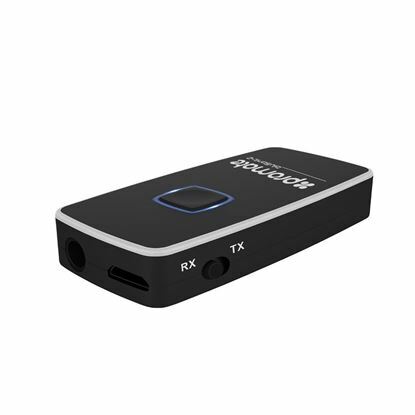 Compatible with all devices supporting Video/Audio output over USB-C. Reversible Plug.